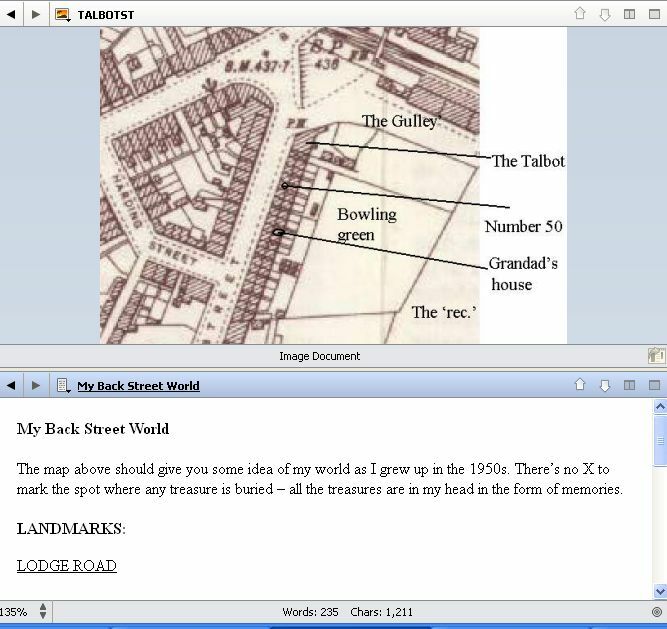 After using it for a trial period, I’ve taken the plunge and purchased Scrivener – a great tool for writers that makes Word seem a redundant way of creating everything from novels and academic dissertations to plays and scripts. 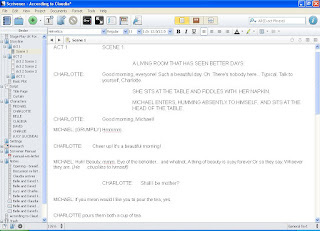 I first used it to write a stage play and quickly discovered there are a number of different templates depending on what sort of writing you’re doing. 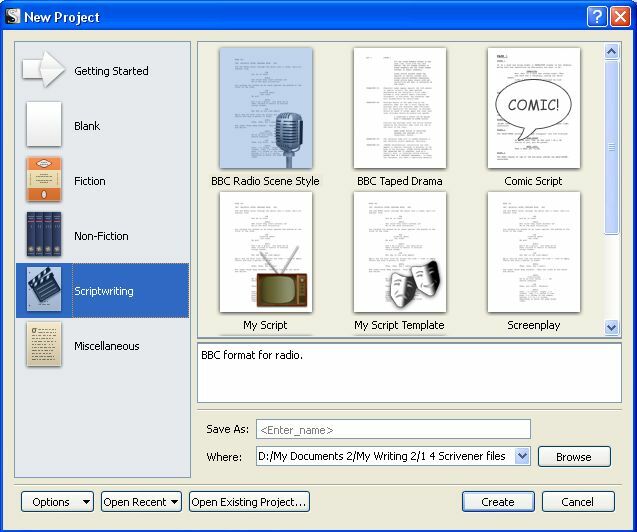 When you start a new project the menu offers a variety of formats for stage, film and radio plays as well as novels and short stories. It’s easy to create your own templates too so you write exactly the way you want to write. Like other script-writing software, Scrivener remembers your characters’ names so you don’t have to type them in each time. 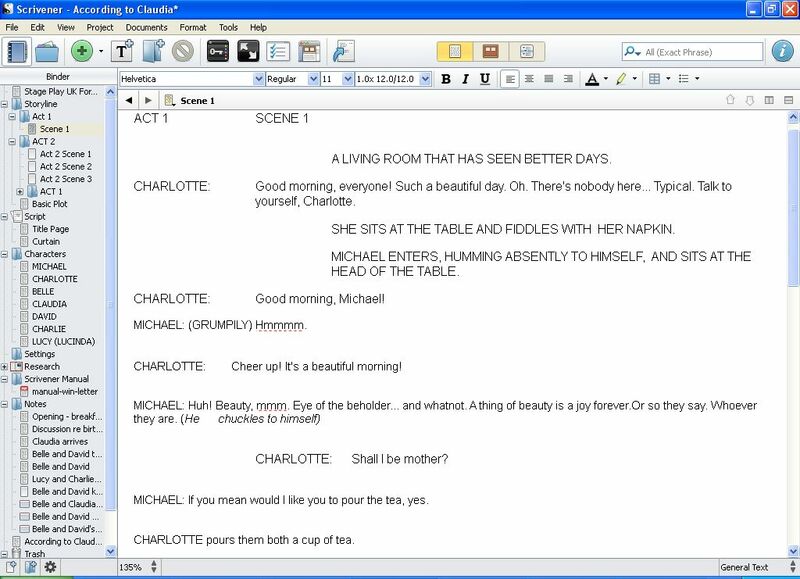 Simple keyboard shortcuts enable you to go into capitals or change where you type on the page depending on whether you’re adding stage directions, action, characters or dialogue. Fair enough. 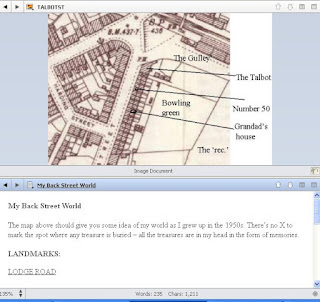 But where Scrivener scores top marks is in its ability to store everything you need for the project you’re working on in one place and put it all just a mouse click away. 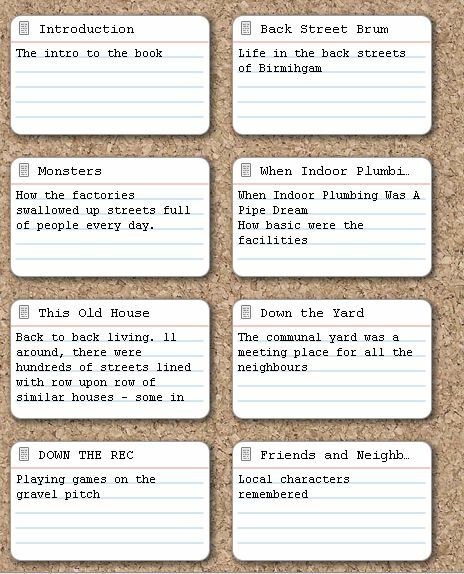 I found the enormous benefits of this when I recently re-discovered a book I was writing about my childhood in the back streets of Birmingham. I had abandoned the project because I had tons of information – photos, records, artwork, scraps of unfinished writing - scattered everywhere and it was proving more than a little unmanageable. Everything can be added to reference folders. Here's some of my artwork that I may include in the finished book. 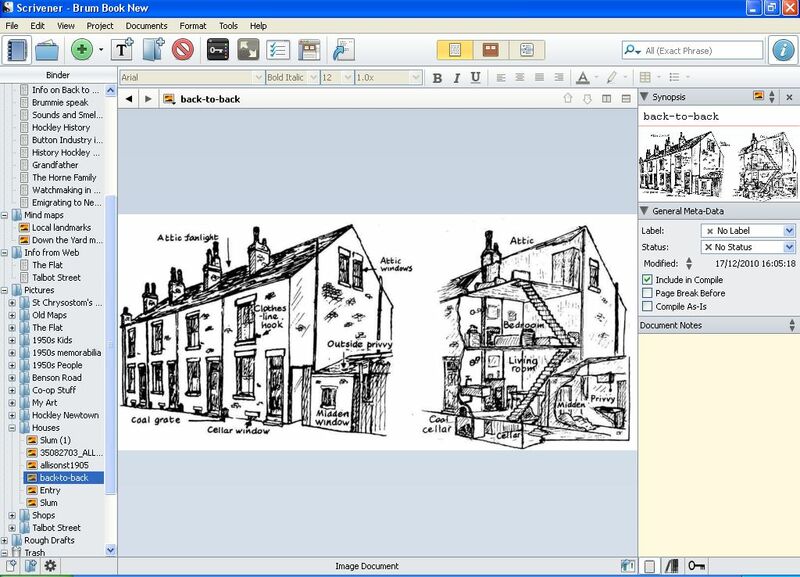 Using Scrivener I am able to bring it all together and organise everything to make it totally accessible. 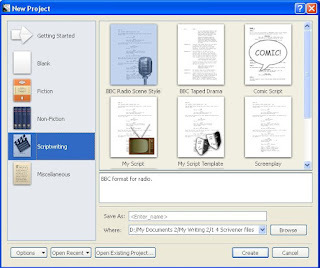 Scrivener has two main panes – a binder on the left containing folders and text files and the main writing screen which doubles as a corkboard to show you the contents of each folder. You can also add an information window on the right for keeping notes. It was easy importing my draft chapters and putting them into a folder. 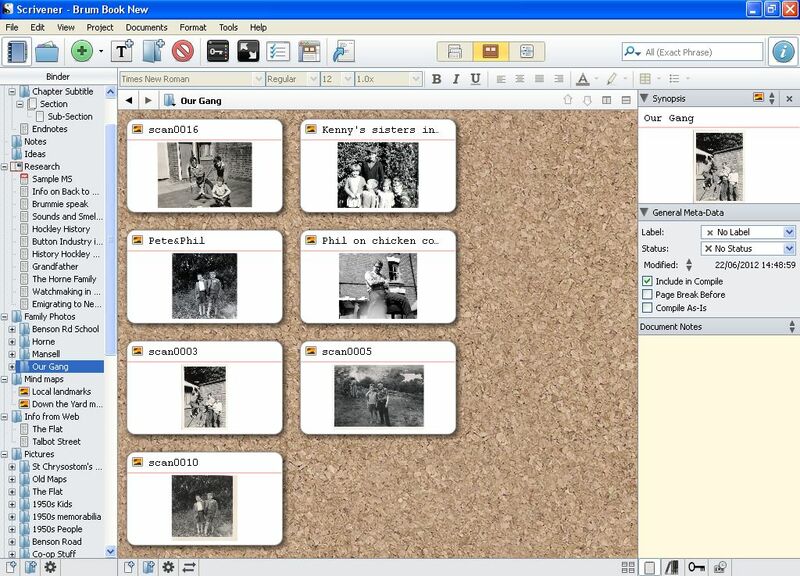 Then it was just a case of creating folders for all my research material – photos, maps, screengrabs images and webpages could just be dragged and dropped where I needed them. 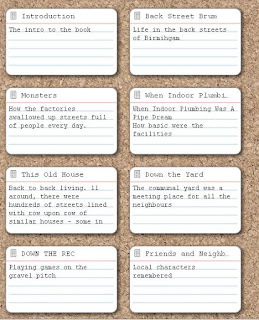 I was able to view each folder as an index card in corkboard mode – so draft chapters could be moved around into the order I wanted. This is also useful when planning plotlines for a novel or script, or creating characters or settings. 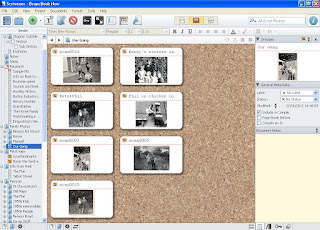 Photos and other images can be viewed in groups or individually. By splitting the screen I am able to view my research material as I write. 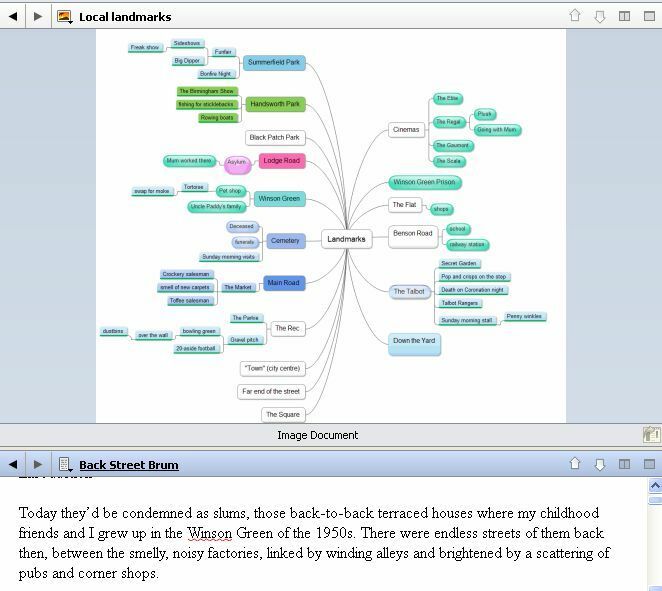 So I can look at mind maps I have created around various topics and expand on these to create new sections of the book. The beauty of it is I am able to write as many documents as I like, then re-arrange them to make a chapter. Scrivener also backs up my work automatically so I don’t have to worry about losing anything. There’s a snapshot feature too which keeps a copy of a draft that I can refer back to if things go haywire and I need a quick look at an earlier version. 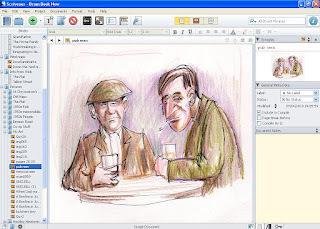 When I finally finish my book – and it won’t be anytime soon, I can tell you because memories spark more memories – I can export my finished work to Word, or better still use the Compile feature which enables me to use one of the templates for exporting to eBook or Kindle. Scrivener has loads more features – and it’s available for Mac or Windows as a 30 day free trial. Just click on the link below. 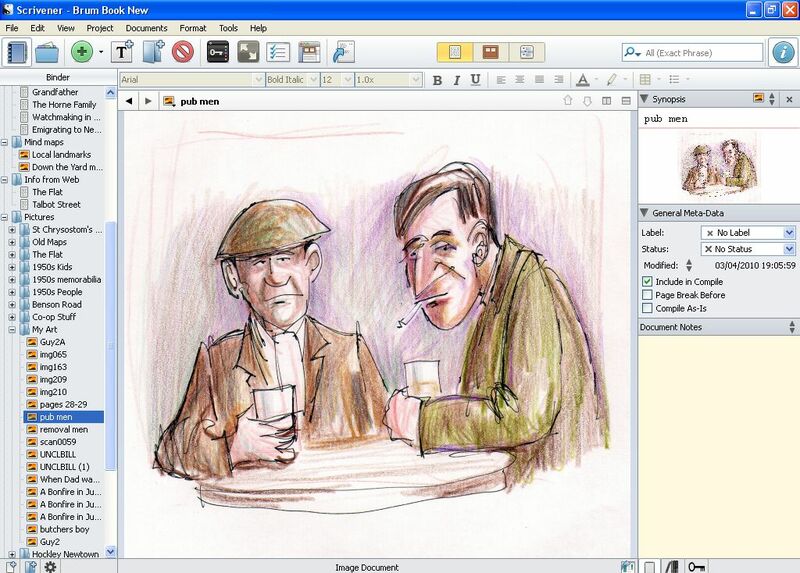 I should add that I am in no way associated with the makers of Scrivener – just a keen fan of their product. 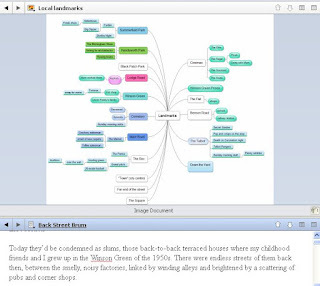 It's a writing tool designed by writers for writers. Thanks for a straightforward introduction to what has become an indispensable writing tool for me as well — living over in that other Birmingham. Best of luck with your book, and I’m afraid I’m going to have to keep an eye on your blog now.